An interesting shift occurs around this time at the academy in that we have started calling the base "home". I caught myself and a few others doing it over the weekend while we were in D.C. sightseeing. "What time do you want to head home? ", someone asked. I even received a text message from one of my floor-mates asking what time we would be home. Of-course there is no substitute to our actual "homes" where our hearts and our families are, but the National Academy has become our temporary home and those who share in our experience have become our family. We are at the half-way point of our 10 weeks and it feels like a lifetime ago that I set foot on the Marine base and was completely and utterly lost (both figuratively and literally). When I walked into my dorm room, I was secretly wondering how I was going to sleep in a twin bed comfortably and share a bathroom with 3 other people. Because humans are inherently adaptive, everything seemed to work itself out organically. I hardly remember what it was like not knowing my roommate from Hawaii, Sherry. We were so polite and considerate in the first few weeks -- now she grounds me to our room for my own good so I can't sneak back to the Boardroom. She's made me an honorary sister since I'm an only child. In the Hawaiian culture, Ohana means "family" in an extended sense of the term (blood-related, adopted or intentional) and that means no one gets left behind - especially not in the Boardroom. I know there are a few followers of this blog that will be attending future sessions of the NA and are worried about the academics. Based on some of the e-mails I've received, I know there are some of you who have not been in a classroom setting for quite some time and have some trepidation about writing a paper in APA format (if you don't know what that means, you might want to brush up on this topic). To you I say, get organized immediately. You will be given a syllabus for each course and it's easy to get overwhelmed with the expectations and upcoming assignments. Buy an assignment notebook (not kidding) or download an app for your ipad (I use iStudiez Pro) in order to stay on top of your assignments. You will spend a considerable amount of time writing papers. The papers will be longer if you are in a graduate level class. You will also be required to meet outside of class on group assignments. If you take a media class, you will be required to give interviews on camera in a one on one setting with a reporter and later give a press conference in front of the press corp. If this scares the crap out of you, sign up for it. My public speaking class required us to give an introductory speech on the first day of class. The speeches get more complicated (informative, persuasive, etc.) as we go along. If this scares the crap out of you, take it. It might seem overwhelming in the moment, but I promise you will be better for it. The same holds true in the social events. Spend some time with officers from different places. Talk to the international students and learn about them. If you aren't normally social, sign up for organized outings that will force you out of your comfort zone. Please do not sit in your room. There have been a few times I have been working on a paper (trying to stay ahead) and got an invitation to the Boardroom from someone I didn't know very well. The responsible thing to do is to stay in and finish that paper but you should do just the opposite. Go build a relationship. The paper will get done. Like anything in life, the level of reward you get from your NA experience will be equally proportioned to the amount you put into it. By that, I mean, take classes that will challenge you if you wish to learn. Get outside your comfort zone as that is the only way you will grow. And if you are following this blog but have no future desire to attend the FBI NA, this advice is applicable to your own corner of the world. If you have put off doing something in your life because it scares the crap out of you, that is precisely why you should do it. Everyone who has been through the National Academy explains that around the 5th week, the time seems to accelerate and the 10 weeks are over in a mere blink. I experienced that sensation during this week (albeit a bit premature). Papers were due this week, speeches were delivered, mock television interviews were conducted and group projects were coordinated. All of which lent to the days being filled with a lot of work and little play. Delivering my Informative Speech in "Public Speaking"
There is always an adventure planned for the weekend (usually several depending upon interests) and I'm trying to take advantage of all I can. The New York trip is coming up next weekend followed by the trip to Philly. The Myrtle Beach excursion was last weekend but I decided to go for a well needed trip home instead. Officers from the respective destination cities organize and plan the trips. The coveted New York trip often results in a lottery because so many wish to attend. Fortunately, every person who signed from our session up will get to go and the buzz around the NA is anticipation of such. This weekend I will spend some time sightseeing in Pentagon City and DC. Our class sommolier has organized another wine tasting tour for Sunday and even though I've already gone to one, I couldn't keep from signing up again to experience more of the vineyards in Virginia. There are many people going for the Blue Brick for swimming and the Yellow Brick for the 6+ mile obstacle course (and yes, these are literal brick awards I'm describing). While I plan on conquering the "Yellow Brick Road" in week 10, our session has introduced the "purple brick" for those of us who consume the most amount of wine on the weekends. I think I'm on my way to earning it. Week 3 of the National Academy has come to a close and I'm sitting in the airport awaiting to board a flight back to Chicago to see my family. As I sit here and quietly assess the last 3 weeks of my life, I realize that I need to freeze frame for a moment and remain fully aware of what it is I'm experiencing so I can appreciate it right now - while I'm in the middle of if - instead of after it's over. The learning that is taking place is phenomenal and I am crossing paths with some of the finest officers in law enforcement. I am so excited to see my family because that is the only thing that weighs heavily on my mind while I'm at the NA. Fortunately, the NA schedule leaves little free time during the week and keeping busy keeps me from being consumed by the fact that I'm away from my children. There have been a few times I've felt completely helpless to the challenges at home. Knowing that my mate is shouldering the responsibility for the kids' activities and all that goes on in real life leaves me burdened with guilt. I certainly have the better end of this deal and I am conscious of it. I am filled with gratitude for my family who encouraged me to attend the NA while knowing the hardship they would incur. I'm truly blessed to have the love and support of them along with all of our friends who have stepped in to lend a hand. There are no words for that. I think about my police department every day but not because I'm worried about the work. I have the utmost confidence in those I have entrusted to fill in for me in my absence and I am not so egotistical to believe that they can't function without me. I am struggling with being out of the informational loop but that is because my PD is such a big part of my life and quite simply, I miss it. I miss the people with whom I work and I miss the officers. I miss everything about APD and in being here and listening to the stories of other agencies, I have come to realize that even with our challenges, our organization is truly one of the finest around. I'm over my head with all of my assignments that are due in the next few weeks at the Academy but I have no intention of bringing work home this weekend. Instead I'm going to spend the next few days following my kids around and squeezing them so much that they will be grateful to see me leave again on Sunday just to get some peace. There are 29 women who are attending session #249 of the National Academy. We comprise different facets of Law Enforcement from the United States, Greece, Australia and Taiwan but we have a common thread as female police officers. We've spent the last 3 weeks exchanging polite salutations and our professional status. One of the women took the initiative and arranged a dinner exclusively for the female officers. At first I was indifferent about the dinner. It was just another event to fill in a time block on my calendar. And then someone suggested that each of us stand up and introduce ourselves and offer something unique about who we are -- something we wouldn't learn from a resume. I had introduced myself so many times in front of my classmates since being at the NA and I'm normally not shy or nervous about such things. But in front of these women, I was. What they think of me sincerely matters and I felt so humbled to be in the presence of so many woman who have broken through barriers in their organizations. Their faces are a reflection of how far our profession has come and I loved watching these women come to life, one by one, when they spoke about their passions and their challenges. These women were just colleagues before our dinner together and now I can see the beginnings of friendships being forged. It's funny how first impressions are so often wrong and by taking the time to look past our initial judgements (good or bad), we begin to see the real person. Nora is the longest serving female executive and many sentiments of gratitude were shared about her being a pioneer. I have been very fortunate in my career and have have minimal barriers thanks to those like Nora who paved a path for the rest of us. We truly see farther because we stand on the shoulders of giants. I look forward to learning more of their stories. I am not a good liar. This fact was unequivocally determined through a practical exercise in my "Interviewing Strategies Through Statement Analysis" class. Instructor Special Agent Kevin Daley asked all of us if we thought we could be deceptive about an incident and fool the class. Seven of us volunteered to give it a shot and were escorted out of the room to await instructions. "Tell us about your last vacation." Now, this might seem like a simple question if you are being truthful. You might have to think for a few moments if your last vacation wasn't very recent but it certainly would not be challenging to draw up that memory. I tried to remain calm while I told the class that my family and I went camping for our last vacation. Those who know me will find that extremely comical as I'm more of a 5 star hotel vacationer. I recognize the irony in this and quite frankly, I have no idea why I blurted out "camping". I was asked questions about my "vacation" and I did my best to explain the details. I tried to visualize what a camping experience might be like and I thought I did pretty good fabricating the event. I shouldn't have pat myself on the back too soon because when it came time to analyze my performance, 6 people thought I was telling the truth and the remaining 17 decided I was being deceitful. There are non-verbal movements that are universal while being deceptive. Most people cannot read these clues unless trained to do so, but they are nearly foolproof. A person's language changes when they are lying as well. We watched videos of interviews with convicted killers and the same clues of deception were glaring in all of the video clips. I had advanced interview and interrogation training while I worked as an Investigator but it never delved into statement analysis as deeply as it has here at the National Academy. I plan on using this on my kids. And everyone else. And I'm still never going camping. A snapshot of my genius instructor in action. Physical Training is mandatory for all of us. We spend one hour in the classroom and the other hour working out with the PT instructor (kinda like a drill sergeant but nicer). He informed us today that humans have different muscle fiber types. Type 1 are red muscle fibers and they are slow twitch. This means that people with this type are fatigue resistant because they have a high oxygen capacity. In short, they have more endurance. Type 2 are white muscle fibers and are considered fast twitch. This type fatigues more easily but they can go for short bursts. I have no evidence to support that I'm a Type 2 but that's what I'm going with to explain why I'm such a slow runner. I'm admittedly feeling a bit sluggish on this Monday as a result a vineyard tour around the great state of Virginia on Sunday. One of my classmates is a wine connoisseur (although I have renamed him the Sommelier) and he arranged a field-trip for the other wino's..ahem..wine enthusiast's in our session. We had two van's full of enthusiast's and set out into the Virginia countryside accompanied by our FBI counselors who served as both our chaperones and our drivers. After the 5th winery, they moved into the category "saint" given what they had to endure with our tipsy group. Here's a shout out to SECTION 5! I'll leave out the incriminating details except to say that I have done my part in contributing to the economy of the state of Virginia as I purchased bottles of wine at each vineyard. You are welcome, Virginians! Clink! Here's a snapshot of our entire group. The Illinois Association of Chief's of Police (IACP) were guest speakers in my graduate level class today, "Promoting the Law Enforcement" image. 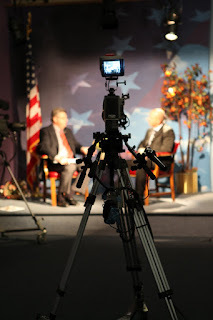 The topic was social media as it pertains to Law Enforcement. The IACP focused on Facebook and Twitter (to name the big ones) and police departments who have jumped on these venues to share information with the citizens of their community. I learned that most of agencies have adopted some form of social media but many are operating without a sound policy. APD is fortunate enough to have a successful Facebook following and a good first draft of policy. What was troubling to me was the vast examples they gave us of police officers who have gotten themselves into trouble on their personal Facebook pages. I never cease to be surprised by the ignorance of some humans. If you are a cop, don't post information on your page about those you arrest or make any disparaging comments about your community or your department. In Labor Law, I learned that the right to a person's 1st Amendment right to free speech does not afford a police officer to speak out as a "normal" citizen could. Well, let me reframe that. If you are a cop, you are entitled to free speech but you are not entitled to to keep your job if you say something stupid. I finished a 5 page paper for my Media class over lunch so I feel less stressed about all I have to complete. Tonight I plan to finish my informative speech for my "Public Speaking" class that I will have to present on Friday. The academics here are more difficult than I anticipated. I tried to pick classes where I needed the most education (which explains Labor Law) and I'm glad I did because there is a lot of learning taking place -- which is why I need to balance it with wine. As previously mentioned, we had our first Challenge Run on Wednesday. These runs are every week and are in preparation for the Yellow Brick Road challenge in week 10. Each week will be a new challenge and the mileage increases. As you can imagine, there are all types of fitness levels here but we begin together as a group and those who finish first bring the others in until the last one crosses the finish line. It's very metaphoric as it pertains to our profession. The camaraderie I've felt throughout my career is the reason I love law enforcement. I've always felt as though my brothers and sisters in blue were by my side -- that we would never leave anyone behind. I was reminded of this during our challenge. Last night was Flag Night where we all assembled under our respective state flag or country flag (for the International Students). It is a way for the officers from each state to network with one another. Since we Illinoisans are over-achievers, we had all arranged to meet socially before departing for Quantico. Many patches, pins and other paraphernalia were exchanged throughout the evening. It was a nice reminder that despite being geographically separated, it really is a small world. The below pic is me (left) with Paul from France (center) and Lisa from Kentucky (right). After Flag Night, we were off to the Boardroom for Karaoke and I have to say that I was not expecting talent. Where I come from, Karaoke night brings out those unsuitable for singing anywhere but their shower (present company included). I was stunned that a lot of my comrades had actual talent. Why that shocks me I do not know! The biggest lesson I've learned about weekends at the National Academy is that you have to keep moving. I spent Saturday night in New Jersey with close friends which was a much needed release from the dorm life. I got back to the NA mid-morning on Sunday. It didn't feel like it was Easter Sunday despite my Skyping with the family that morning. I watched the kids search for Easter Eggs and it almost felt as though I was there in person. Almost. They found 23 eggs which meant one was unaccounted for (the Easter Bunny apparently forgot where the last one was hidden). Keeping with the glass half full theory, I will be glad to be far away from home when that 24th egg that is missing starts revealing itself! Most of my classmates planned day trips to Washington DC and surrounding points of interest over the weekend. Those who stayed back and hung out in the dorms seemed out of sorts. It's hard enough to be in a new environment -- even harder to do so on a holiday with unstructured time. Seven us from the Chicago area decided to go out to a "family" dinner Sunday night to get our mind off of being away. It was a bit melancholy even with the Bloody Mary's I drank! Yesterday (Monday) was probably the most stressful day for me thus far. I finally started to get a real sense of the culmination of assignments that each course requires. The instructors eased us into the first week with gentle reassurance. By the end of the day on Monday, many of us felt overwhelmed by the work load. I had to download a college app for my iPad in order to keep my classes and assignments organized. I saw many returning to the dorm with bags from the nearest office supply store who had the same idea. Tomorrow is our first Challenge Run and the beginning of training for the Yellow Brick Road -- the 6+ mile obstacle course that we will attempt in week 10 to achieve the much coveted yellow brick. Tomorrow is also the first in a series of Wednesday Night Karaoke in the Boardroom. I'm definitely looking forward to hearing the inner rock stars that will emerge from these police executives. The Aurora police received major media attention with the recent release of Jonathan Moore who was exonerated on a 2000 homicide. Our department was flooded with phone calls and emails from citizens who wanted to express their gratitude for pursuing the release of Mr. Moore after our detectives engaged in an exhaustive investigation that started when they received information that indicated Mr. Moore was not involved in the crime for which he was convicted. I love that the public recognized this deed, but I have to admit that I was a little taken aback by the fact that people were surprised by it. When the command staff learned of the newly acquired information, there wasn’t a discussion as to how we were going to proceed, because it was absolutely devoid of any thought or debate. The detectives were simply going to contact the state’s attorney’s office and present them with the new findings that would likely vacate the conviction of Mr. Moore. We were not worried about the potential of the department suffering from an image of incompetency for the wrongful conviction. There was no weighing the pros and cons of coming forward with the new information and the likely fallout. In fact, everyone agreed to move to the next logical step — to right the wrong. I have to admit that I was actually a bit offended by the public perception that covering up our mistake to save some embarrassment might have been an option over setting an innocent man free. Then I played back in my head the headlines involving police officers from across the globe who have coerced confessions, covered up improprieties and committed criminal acts. I realized that those tiny cuts resonate with the public and that it might come as a complete shock when a police department acts contrary to these perceptions. Conceptually and intellectually I understand why the public would naturally assume the worst. But understanding it does not mean I have to accept it. I have asked my children to omit the phrase “It’s not fair” from their vernacular because I think they should learn that life is often not fair. And yet that’s what I feel when my profession is painted with such a broad brush of corruption as a result of those few who have acted dishonorably. It’s not fair that the initial response from the public is shock that a police department acted righteously. I’m not so much angry at the public as I am at those who took an oath of honor, duty and service, and then betrayed the public’s trust. Had it not been for those corrupt individuals in my profession, upholding integrity wouldn’t seem so rare. In fact, it is not rare. 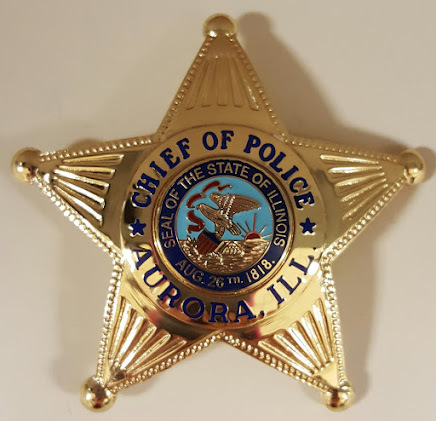 The employees of your Aurora Police Department act with honor and integrity every day. The boots on the street, the shirts and ties in the Investigations Division, and the support staff comprise a group of people who work tirelessly toward a mission that is much bigger than all of us. There are many acts of selflessness, courage and duty that often go unnoticed, and to many of the personnel, that is precisely how they prefer it. Re-opening a case after discovering the possibility of a wrongful conviction should never elicit public shock. The fact that it did tells me that we police officers have a lot of work to do toward earning back the trust of the public. Even though it is unfair that we have to shoulder the burden of the few who have eroded that trust, we must vow to fight the negative perception. Change often comes by way of evolution rather than revolution. I am confident that through our words and deeds, we will get to a place where it won’t make headlines when a police department does the right thing. I made it to Friday of Week 1 which means I have been away from home for exactly 7 days. I've been skyping with the family sporadically but it just isn't the same not being able to hug them. Given that I am already missing them and there are nine more weeks to go, I will likely be an emotional wreck around week 4 (give or take). Brace yourself. My section had our fitness test yesterday and it was a good starting point for the gains we all hope to make at the Academy. Weight and body fat seemed to be a rude awakening for some while others really struggled with the run. To keep it in perspective, the average age at the NA is 41 with roughly 20 years of service. Obviously all are police executives which means the only physical activity a lot of them get are walking to the car to drive to lunch! We all reminisced of the early years where we stayed in optimal physical shape to meet the demands of the street. These days, the only thing I wrestle with is a staple remover. Having said that, there are all different physical fitness levels here. The push up winner was a 50+ year old from Albuquerque, New Mexico who pumped out 71 like it was butter. There is a female Lieutenant from Murphey, Texas who kicked everyone's arse in the mile run and is swimming for the blue brick (a crazy amount of miles in the pool). She's a beast and I try to stand next to her a lot in the hopes that her skills rub off. My classes are harder than I anticipated. I got mixed reviews about the academics at the NA and I'm here to report that I will be spending copious amounts of time with my face in a book, building power points, writing speeches, and writing research papers. This will be an impediment to my socializing but from what I gather thus far, I'll be better for it. I'll be taking a drive to New Jersey tomorrow to spend Easter with a beautiful friend who graciously invited me and one of my classmates to her home. I'll be missing my kids on Easter so I'm grateful to be away from dorm life for a few days as a diversion. No drinking in the dorm. No committing any other improprieties that might bring discredit to the academy or to your organization. (Forgive any misspellings as I'm have a glass of wine as I write this in my dorm). Tuesday was the first day of classes and it was a not so subtle reminder of the work that lies ahead for us. I saw many people getting their syllabus' organized and mapping out the research papers and projects that will comprise much of their time here at the NA. I also see how the volume of work might drive a person to find solace in an adult beverage every once in awhile! Thus far, I'm enamored by the knowledge of my instructors and am hanging on their every word. From first impressions, I predict I'm going to learn a lot from them. But, I have to say that it is my colleagues for whom I am the most excited to get to know. Being in the proximity of so many police executives from around the world is quite humbling and I have a feeling that what I learn from them is going to be priceless! We left Breezewood, PA and caravanned the three hours into Quantico to make it to noon registration. We arrived at the Marine Base and learned we were at the wrong entrance so we went to the next check point only to find that we were still in the wrong place. The moral of that story is that the Quantico Marine Base is ginormous. We finally made our way to the FBI building where young FBI Field Agents in training acted as bell-hops. I think FBI agents are getting younger and younger because they look around 13 years old (this is no correlation to my getting older). I was shown to my room and it was pretty much what I expected. The dorms have two beds and an adjoining bathroom that we share with two other ladies. There is one shower so I’m not exactly sure how this is going to work. Four women sharing one bathroom is difficult for me to conceptualize at this point. Since this is session #249, I’m sure it’s been done successfully 248 prior times so I’ll let it work itself out. My roomie arrived and I was delighted to learn that she is from the Big Island in Hawaii. I was even more delighted that she presented me with some Kona coffee. Based on this gesture, I think we will get along just fine. I left the base to go get some supplies and immediately got pulled over by the Military Police. Apparently they frown upon driving 20 miles over the posted limit while talking on a cell phone. Huh. I got persuaded by the Chicago boys to go for a run on Sunday morning and learned quickly that I could not keep up with them. Despite my turtle pace, I was still lapping those who slept in! I did climb a rope so I redeemed myself slightly. When I got back to the room, my flatmate was still sleeping. It was only 9 a.m. so I dismissed it. She hadn’t moved by 11 a.m. so I assumed she was dead. I got really close to her face and she started moving which was a relief because I would likely be a suspect. As it turns out, she was still adapting to the time difference. Most of us spent Sunday unpacking and getting our dorm rooms organized to make it as much like home as possible. 10 weeks is a long time and I'm only on day 2. Sunday night was a trip to the "Boardroom". This is code for the bar. It's likely I'll be attacked for divulging this NA secret so if there are no subsequent blog posts about my experience at the NA, you know why. Myself and 6 other Chicago area police officers drove roughly eleven hours into Breezewood, PA on Friday to begin the 10 week journey to the FBI Academy. If you are ever in the Pennsylvania area, I would strongly suggest avoiding Breezewood at all costs. That is, unless you consider Pizza Hut good cuisine. We tried to find a bar for some cocktails and settled on the Breezewood Inn. I asked the bartender for a glass of Cabernet and she said all they had was White Zin. I don’t think that needs any more of an explanation. The FBI Field Office said it’s a tradition for the Chicagoland Officers attending the FBINA to stay in Breezewood. Personally, I think we are all just being punked. I’m here to stop the cycle. If anyone reading this is from Breezewood, I’m terribly sorry*. *I’m not sorry for what I said. I’m sorry that you live there.